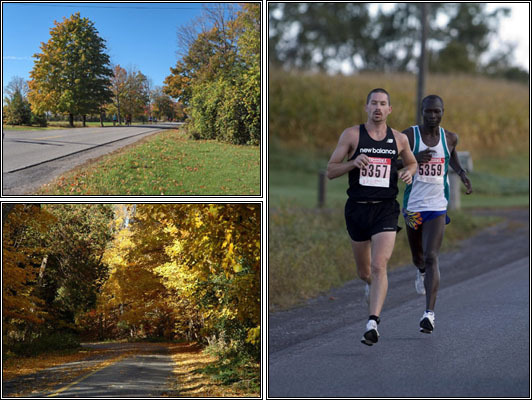 The "County Marathon" is unique – like the County which if you asked many people if there was anything south of Belleville Ontario they would tell you – "just Lake Ontario". Our race is a fully sanctioned event on a fully closed course with all of the features you have come to expect at premiere running events around the world. From race kit pick up on Saturday October 5th to the final awards on Sunday, October 6th, from the time you arrive through to the beer at the finish line, from the slowest walker to the fastest men and women running respectively for the Rolf Lund and Gayle Ornikova we take a back seat to no other race on the planet. Welcome to our secret – the County and our marathon await you! The County Marathon weekend begins with Race Kit Pick Up on Saturday October 5th from 10AM-6PM. Day parking and buses on race morning will be located at The Community Centre parking lot in the same location as in previous years. Buses will continue to load from the Community Centre parking lot located in the same location as in previous years. We will have detailed maps and volunteer support to assist you in finding all our important locations race morning." Our awards ceremony will take place at The Community Centre in Picton, located behind the day parking lot area where buses will pick you up first thing in the morning, race morning. Volunteers will be on site to direct you to all start and finish locations throughout the weekend.